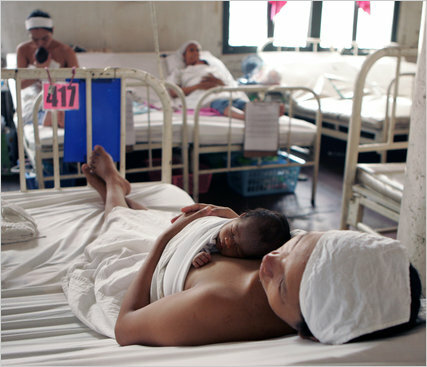 The Dominican Republic is one of the Latin-American countries with major rate of maternal and neonatal deaths. The rate of pregnancies in teenagers is also very high which produces additional risks to the gestation affecting the care of premature babies. Libelium has taken part in a project close to Infectología’s Dominican Foundation to bring over the sanitary attention to groups of patients in risk with MySignals. MySignals is the Libelium eHealth Development platform that includes 15 sensors to monitor up to 20 biometric parameters such as pulse, breath rate, oxygen in blood, electrocardiogram signals, blood pressure, muscle electromyography signals, glucose levels, galvanic skin response, lung capacity, snore waves, patient position, airflow and body scale parameters. Infectología’s Dominican Foundation began its labor 40 years ago in the pediatrics hospital Dr. Robert Reid Cabral in Santo Domingo, attacking the poverty and infantile malnutrition that was affecting the 75% of the population causing high mortality. The Foundation extended its range of action 25 years ago operating from the North American state of Florida with the purpose of adding economic and scientific supports to the labor initiated in Santo Domingo. A team of doctors arose there to attack the high rate of mortality of the mothers and their babies. 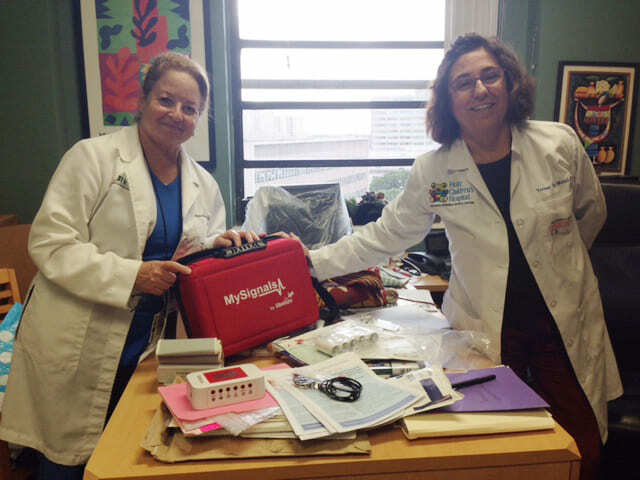 This team is led by Dr. Angélica Florén, teacher of Pediatrics at the University of Miami and neonatologist in the Jackson Memorial Hospital. In 2016, Dominican Republic registered 168 mother deaths and 2.441 neonatal deaths. The 72% of them died before their first month of life. The rate of neonatal mortality in the country is the third of Latin America, 25 for every 1,000 live births. According to Dominican Republic’s study by UNICEF: “13 babies younger than 28 days die every day being the 80% of these deaths preventable”. The Department of Health of the Dominican Republic states that the first reasons of maternal deaths are hypertensive disorders of the pregnancy (39.34%), infections (27.87%), hemorrhagic shock (17.21%) and the abortion (3.28%). The preeclampsia, also known as toxemia of the pregnancy, is a disease related to the hypertension. Its effect is major during the first pregnancy in teenagers or older than 40 years mothers and is recognized by the arterial hypertension, the increase of weight and the loss of proteins in the urine. The eclampsia goes farther and is characterized for being the most serious picture of the preeclampsia and worsens with convulsions. With the aim of monitoring patients with risk of suffering arterial hypertension, the Foundation team uses MySignals to identify the symptoms in the patients in several sanitary centers as the Hospital Maternidad Los Minas, in Santo Domingo, and the Hospital Dr. Jaime Mota in Barahona. In the first one they attend to an average of 60 childbirths per day and are developing a program called “Kangaroo care” that has saved the life to thousands of premature babies giving education on the maternal care to prevent diseases. Barahona’s Hospital is located in the extreme west of the country, at the border with Haiti. It is a very poor zone with the biggest maternal and infantile mortality of the whole America. There the Foundation works to extend the programs of attention to pregnant women and premature babies in all the rural clinics and centers of primary care of the region. 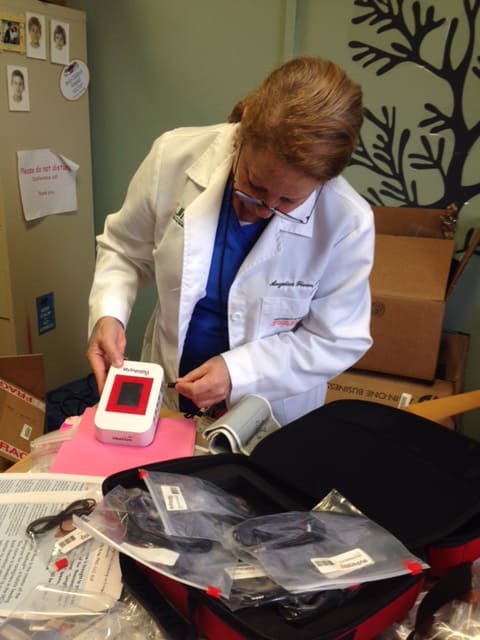 MySignals is being used there to monitor at regular intervals patients with high arterial pressure. 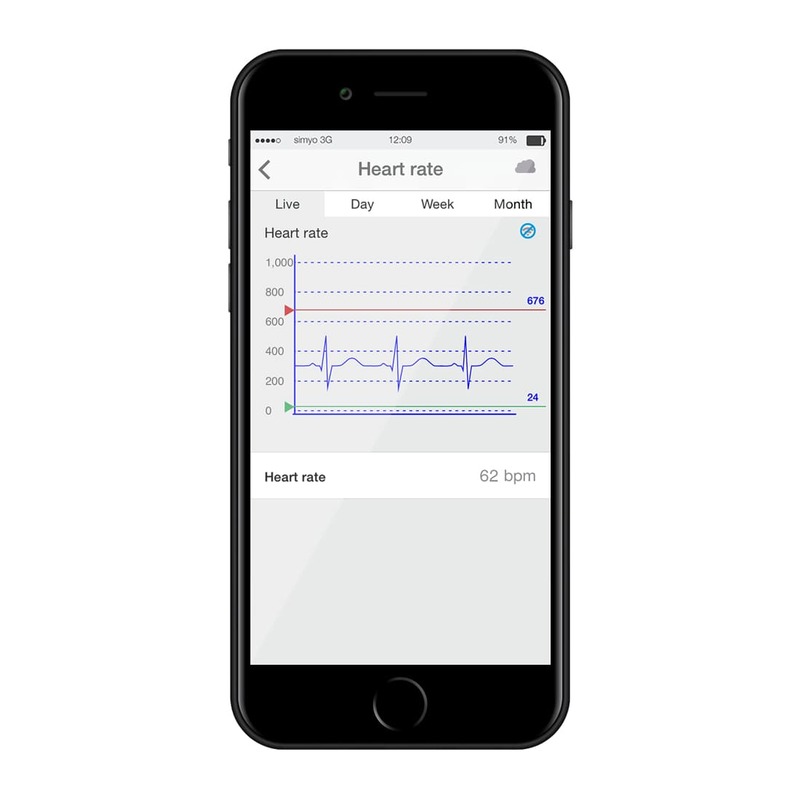 The platform allows to program a time cycle so that the blood pressure is taken and send in real time to the MySignals Cloud and mobile App. Following-up the blood pressure, electrocardiogram, oxygen level and temperature, allow to obtain information that indicate the immediate risk of convulsing and could receive assistance before this happens. So the medical team can rely on this information to decide if it is necessary to induce the childbirth immediately. 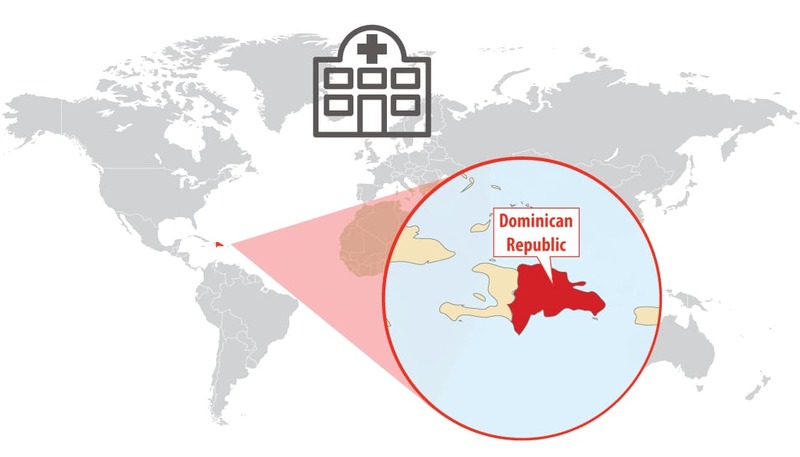 A medical team from the University of Miami moves every quarter to the Caribbean country training to sanitary personnel of the island in skills of prenatal care, attention to the childbirth, resuscitation of the newborn child, mother lactation, care of neonates and premature babies. Dr. Florén leads these training teams and emphasizes that MySignals offers an exceptional opportunity to monitor mothers at the risk of maternal mortality. “It is necessary to bear in mind that our mothers are teenagers, with scanty knowledge of health in general, and that often conceal her pregnancy until the end so they do not get any prenatal attention”, affirms Dr. Florén. “When they ask for help, many come already convulsing, putting in danger her life and her baby”, states. One of the doctors of the team, Jose Carlos Bautista, from the National University Pedro Enriquez Ureña in Santo Domingo, expresses his experience after MySignals’s use: “the eHealth platform is phenomenal; I find it very useful as it evidences that the technology can bring us the development of the sanitary attention in the country that we really need“. 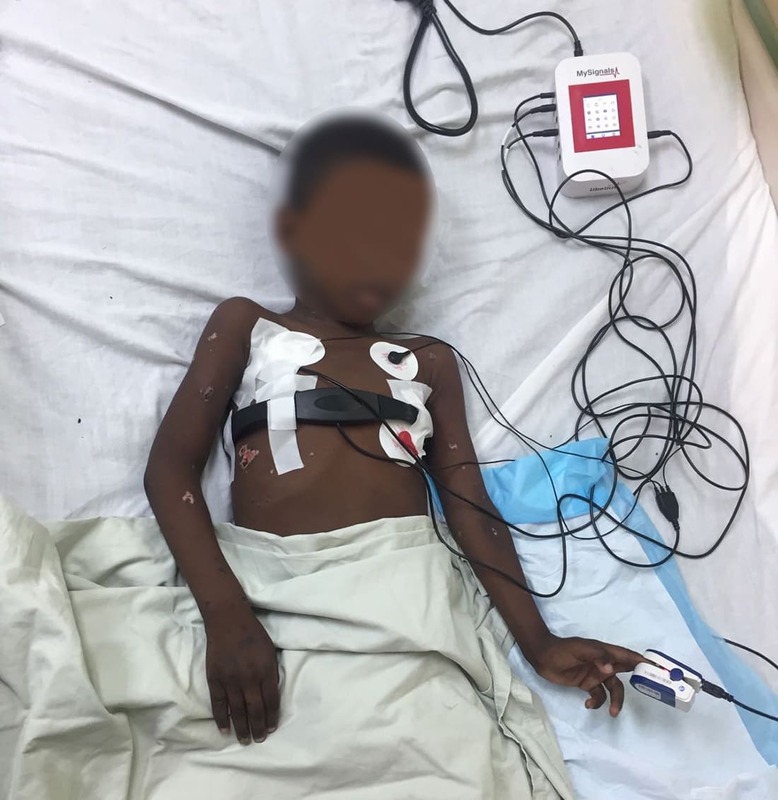 MySignals has also been tested in the hospital Robert Reid Cabral to pediatric patients measuring the temperature, position, SPO2, ECG and arterial pressure. They could visualize the information in the app with a mobile phone by Bluetooth connection. The medical team of the center that proved it finds the device very interesting due to the variety of sensors included. MySignals’ aim is improving the future of health services to cover one of the main challenges of the century: enhancing the universal accessibility to a healthcare system for more than 2 billion people that currently have no health coverage. This means that approximately a third of worldwide population can not access to an early diagnosis when the first symptom is detected. The main reason is that the current monitoring and diagnosis devices are expensive. 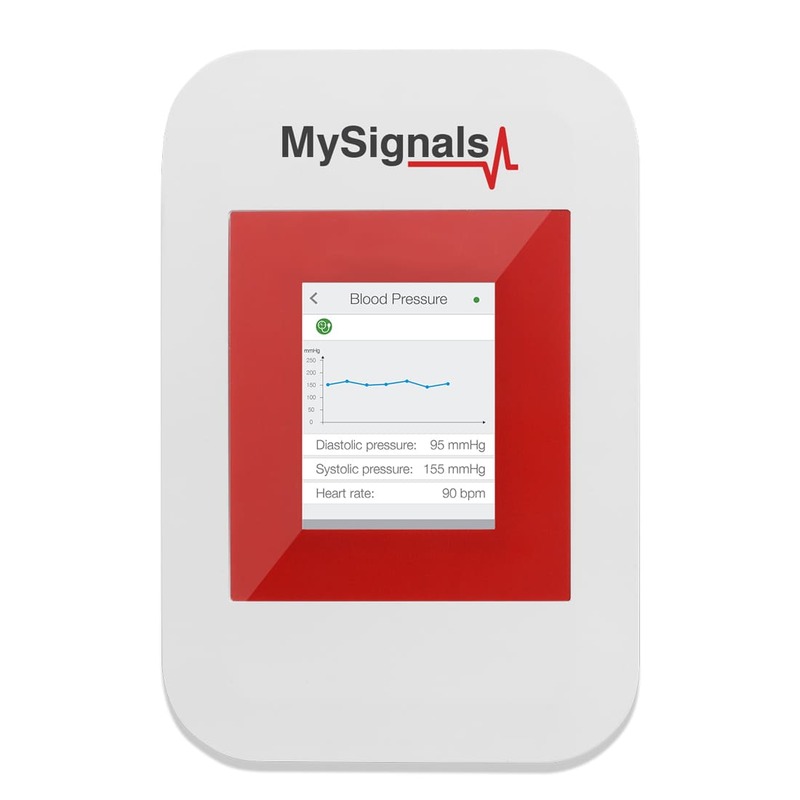 MySignals is based on a hospital Emergency Observation Unit and measures the key parameters that are usually monitored there. 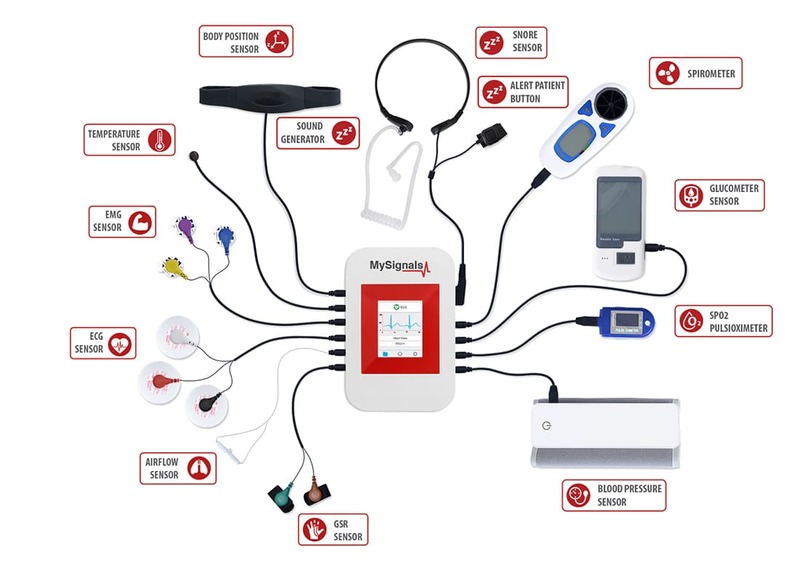 The eHealth platform has reduced the cost 100 times; while a hospital monitoring room costs approximately 100.000$, MySignals reduces the cost to 1.000$. MySignals has an accuracy similar to an Emergency Observation Unit. It is portable in a small suitcase and able to be distributed anywhere, even to places where currently there is no option to build a hospital like small villages located in rural areas or event places with difficult access such as mountains or rain forests. Half of the world’s population, 3.3 billion people, live today in rural areas, having a limited and late access, very expensive and also difficult to reach in areas where main hospitals are located. So, in small villages there are no hospital diagnosis rooms or a first medical intervention able to analyze a first symptom and give a diagnosis to know if it is a false symptom or something which requires medical assistance or going to a hospital to get a specialized medical attention.